I don't know about you, but I have found in the last few years that if I want to have family time, I have to intentionally put it on my calendar. Such is our busy world I suppose. 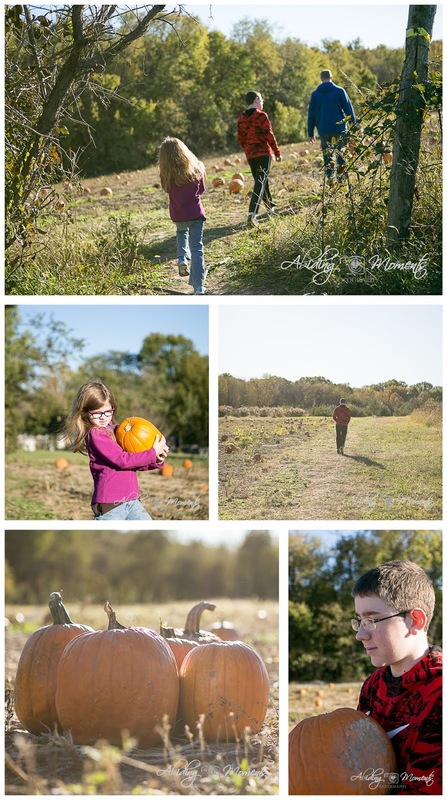 So when October started, we picked a weekend for pumpkin picking and last weekend was it! If you have my struggle of a busy calendar, fret not. This season is just as much about carving as picking, so steal a couple of hours this weekend and spend some time in your kitchen with your people. My family seems to always struggle with finding places we feel like will be a good match for us. 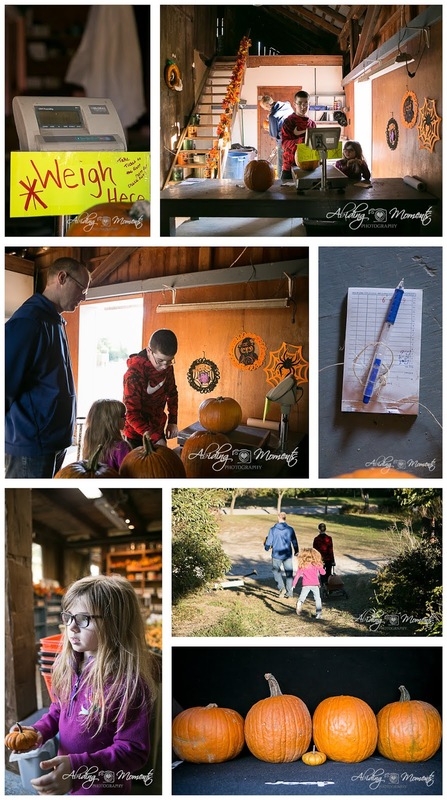 We tried a farm close to home, but there was no field to pick from, so we drove about 30 minutes to Augusta and found this sweet little farm this year. It was a little bit of a walk, which on this chilly day was actually a welcome way to get our bodies warmer. 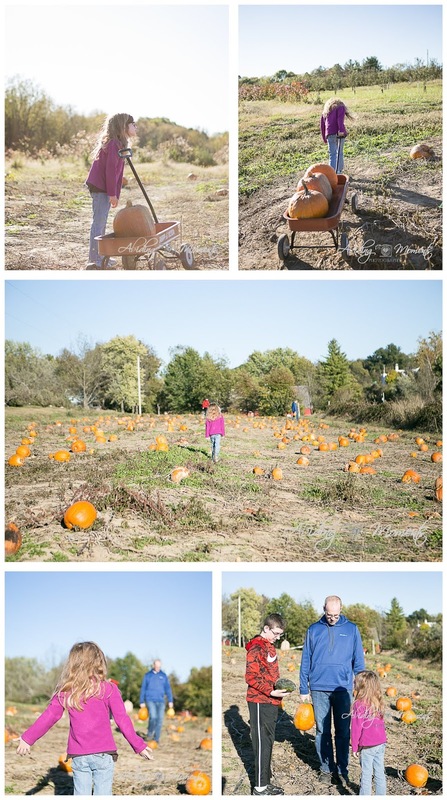 There were two fields to choose from, and if you have ever picked your own pumpkins, you know you have to weed through plenty of bad ones to find the kind you want. My boys are forever interested in checking everything out, leaving my girl frustrated at times and following behind. They are also interested in messing with her - my son taking the lead from his Dad to show his sister the "perfect little one" that he found for her. But don't be worried for my girl. She keeps up with them (or me) and can carry her own weight, err, pumpkin. She also gives it back to them and it is molding her into a chick not to be messed with. And even though those boys can be a pain to us both, I certainly have a soft spot for them and really love the snot out of them. 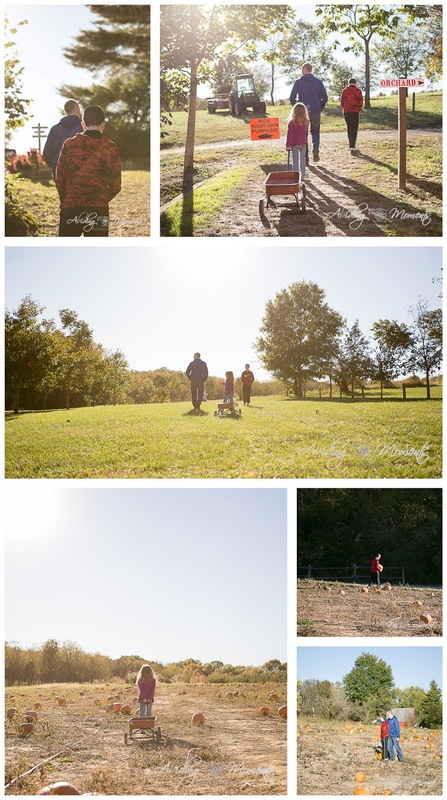 We stacked them all together and made our final picks, then the kids made a quick pit stop at a small play area while I got a few pictures of the field. Then off to weigh our picks and pay. It was nice to have a big kiddo working to calculate, while the little one got to watch her big brother model for her how it all works. 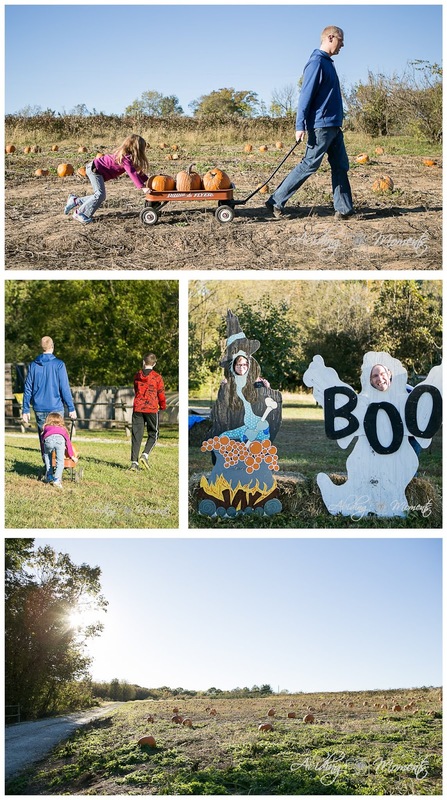 I loved watching my girl skip and hop to the Jeep to load up our prizes and enjoy the trek home down some windy country roads. This weekend, I'll be joining you in carving. Maybe I should have made sure we had the time for that last weekend. Nah.